Greek Marinated Grilled Eggplant and Summer Squash is an easy and versatile recipe perfect for any veggies in season including asparagus, zucchini, red peppers, onions and more. 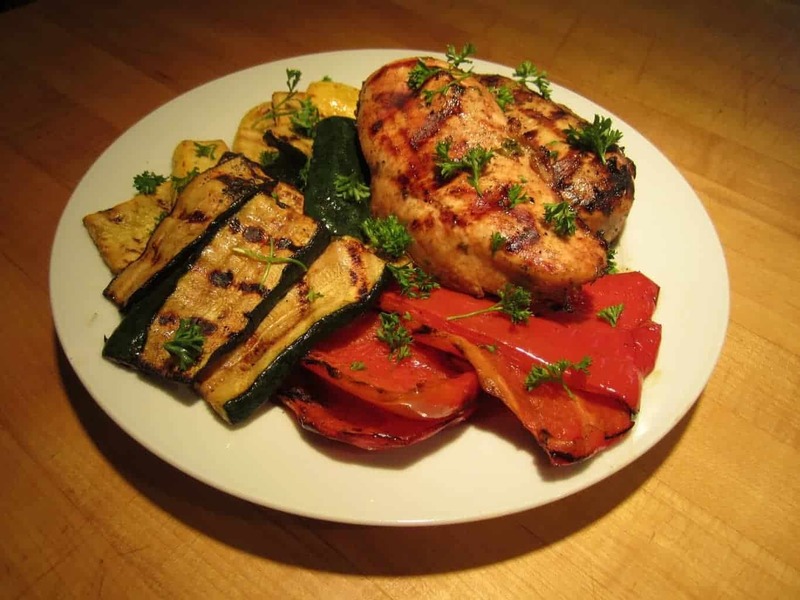 Greek Marinated Grilled VegetablesOne of the hottest foods trends right now is locally sourced food. 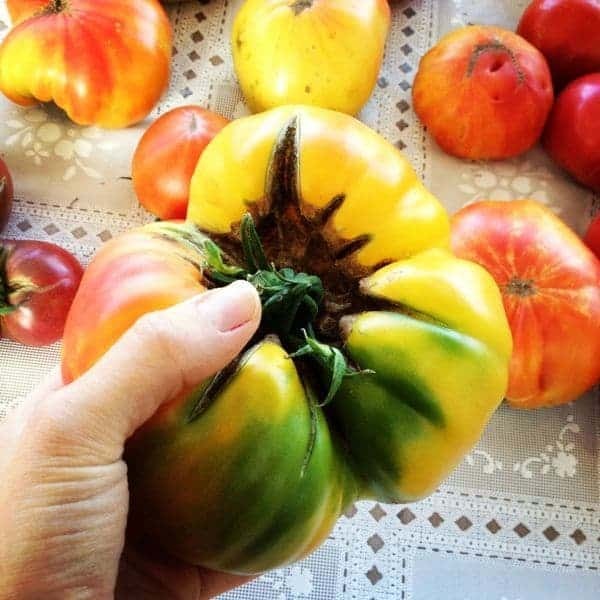 Chances are if you don’t have a garden growing in your own backyard you either frequent a farmers market, belong to a CSA (Community Supported Agriculture) or have visited a nearby farm stand recently. If you follow me on Instagram, you know that I love sharing photos from the farmers market, apple orchards, blueberry farms and more. While most of us love visiting farmers markets, I know that people often avoid certain fruits or vegetables because they simply don’t know how to use them. I recently polled my friends on Facebook to learn that pattypan squash, fennel, radishes, beets, eggplant, rutabaga, parsnips, artichokes and leeks are top on that list. Greek Marinated Grilled Eggplant and Summer Squash is an easy and versatile recipe perfect for any veggies in season including asparagus, zucchini, red peppers, onions and more. In fact, when I don’t feel like taking the time to make Lebanese Stuffed Kusa Squash I love to simply slice and grill it. 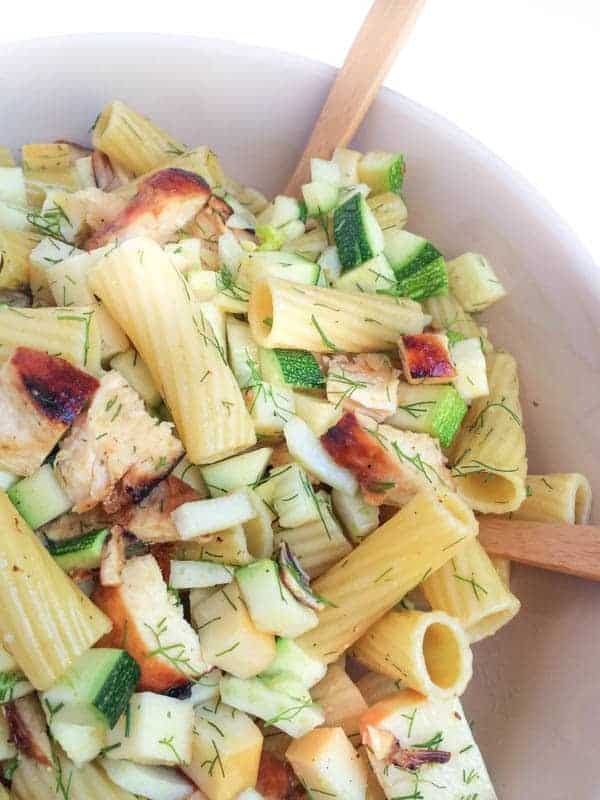 For more delicious ideas, here are additional recipes from a few of my friends to give you the courage to pick up that crazy looking kohlrabi or whatever else it is you see at the market this week! Your farm stand is waiting. Grilled vegetables are marinated with fresh herbs, lemon juice, garlic and olive oil to create a simple and delicious side dish. 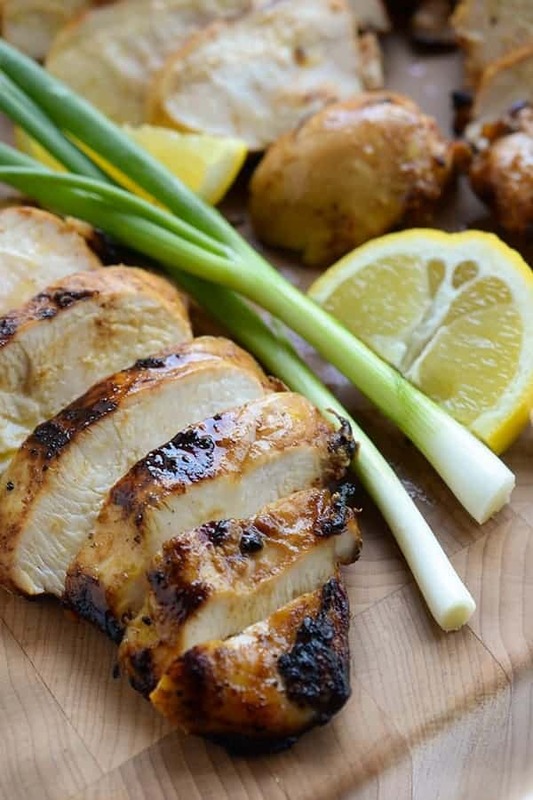 Great roasted or broiled. Pre-heat grill on medium-high heat. Place eggplant, zucchini and pattypan squash in a large bowl and set aside. In a small bowl, whisk together olive oil, lemon juice, vinegar, garlic, salt, chili flakes, mint and mint oregano. Pour mixture over the sliced vegetables and toss well to coat. Grill vegetables until soft and slightly charred, about 8-10 minutes flipping once halfway through. Dried herbs work fine if you don't have fresh on hand. 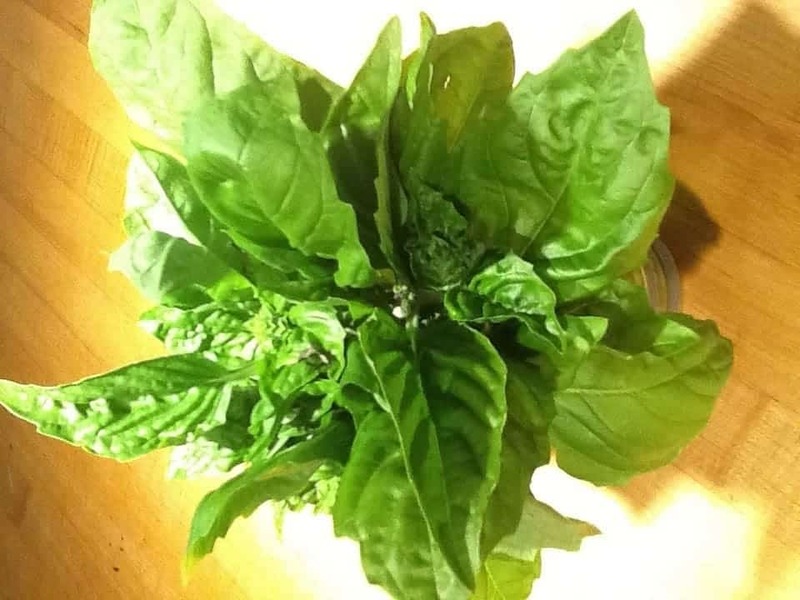 Simply use half of the amount listed for fresh since dried herbs are more potent. Disclaimer: Cascadian Farm compensated me for my time to create this seasonal recipe inspired by a local farmers market. As always, all thoughts are 100% my own. What glorious farmer’s market photos you’ve got here! Our little city just started a farmer’s market this summer, and it’s a nice hang out on a Saturday morning. My counters and crispers are overflowing from my very prolific CSA farm share, but it’s still cool to check out what’s yummy. 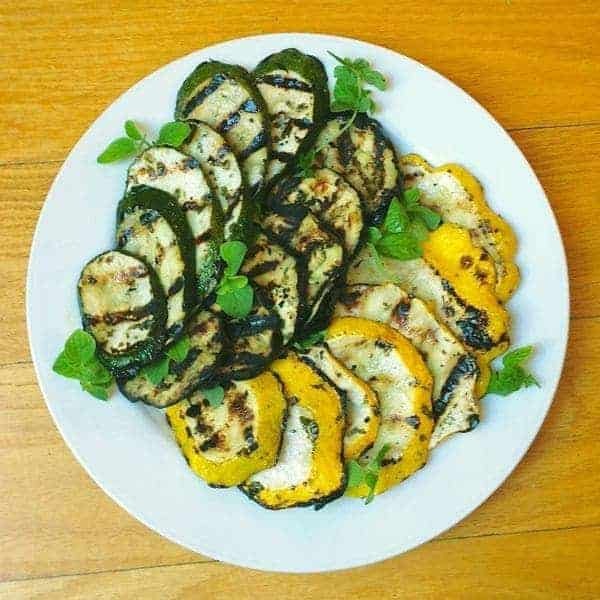 The grilled veggies with mint and oregano sound great–what a tasty flavor combination! I’ve put patty pan in a sweet dessert crumble and Indian-spiced slow cooker beef, but kohlrabi? That’s for sushi! 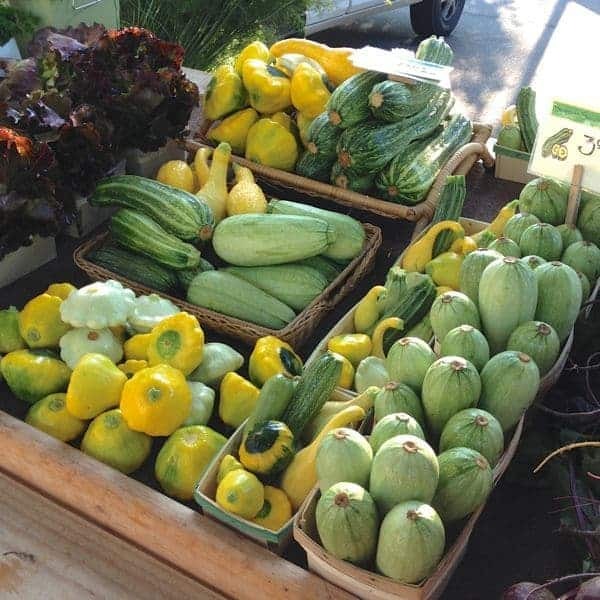 Thank you so much – I’m so lucky to live near so many great farmers markets!! I love that you belong to a CSA – I’ve always wanted to do that. 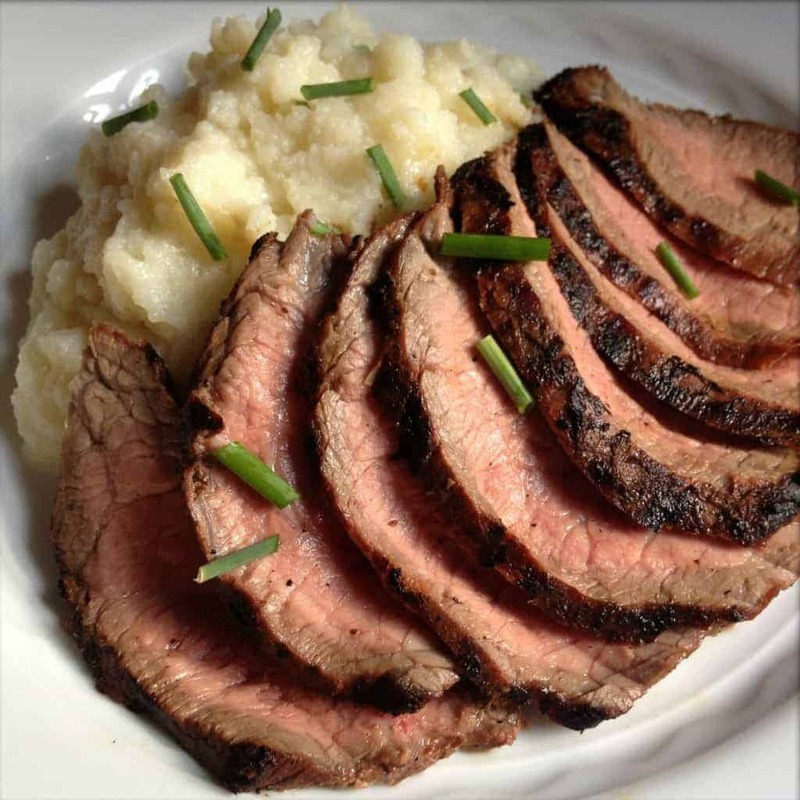 :) Your Indian Spiced Slow Cooker Beef?!? YUM!!! Thanks for tackling the eggplant- I’ve always read that you need to salt it and let it drain for a while before using it. That’s not necessary when you grill it? Liz to be honest, I’ve never salted my eggplant. The fact is – that technique was created to get rid of the bitterness in eggplant. 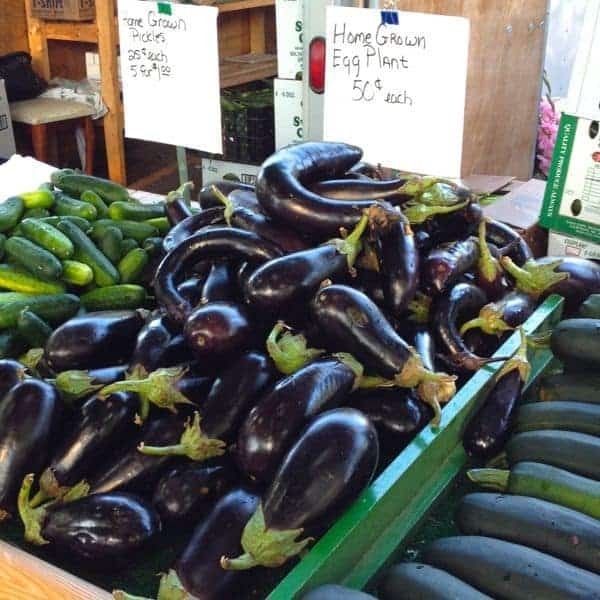 If you’re buying locally grown eggplant picked down the street, the eggplant won’t be bitter. That being said, I’ve never done it even when I don’t buy it at the farmers market and I’ve never noticed any bitterness in my eggplant. Hope that helps! This looks so good! We love eggplant and squash in our home! Me too!! I bet you grow it?? Those grilled veggies are beautiful! Thanks so much Ashlee!! Everything is beautiful when it’s in season isn’t it? I could eat that whole plate for dinner with no problem. Love these flavors! haha Funny you mention that……. :) Meat has not been a big friend of mine this pregnancy so I practically did eat the whole plate!! Oh yum! I love, love, love greek favors and this looks so good!! I love summer squash and grilled eggplant! I know me too!! I need to use fresh oregano more often!! I love eggplant, but have never thought to grill it!! So doing this! Liz, I totally cracked up when I read this because I was just thinking that I hadn’t done anything with kohlrabi yet this season. Time to pick that crazy sucker up and get creative!